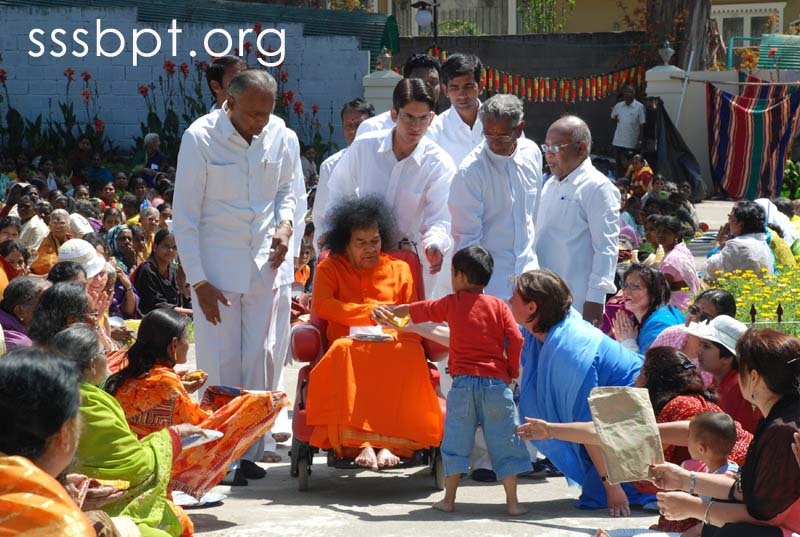 The first of May witnessed Narayana Seva and Vastradhaan (giving away clothes). 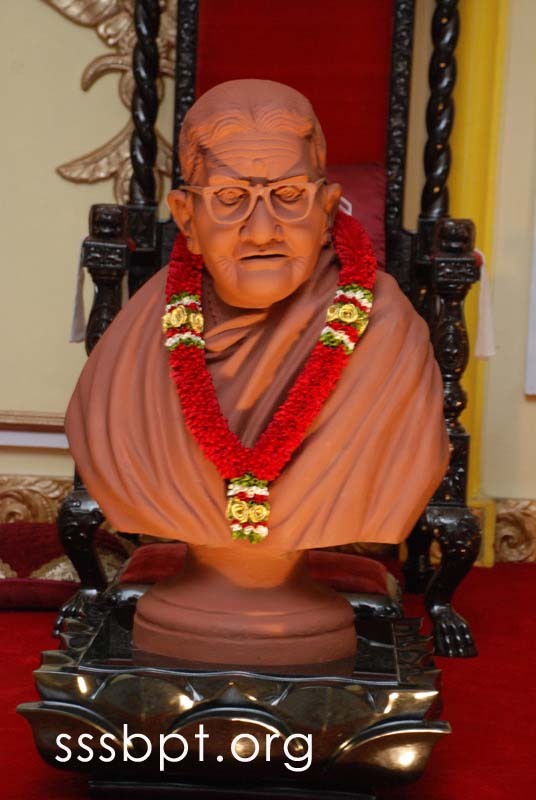 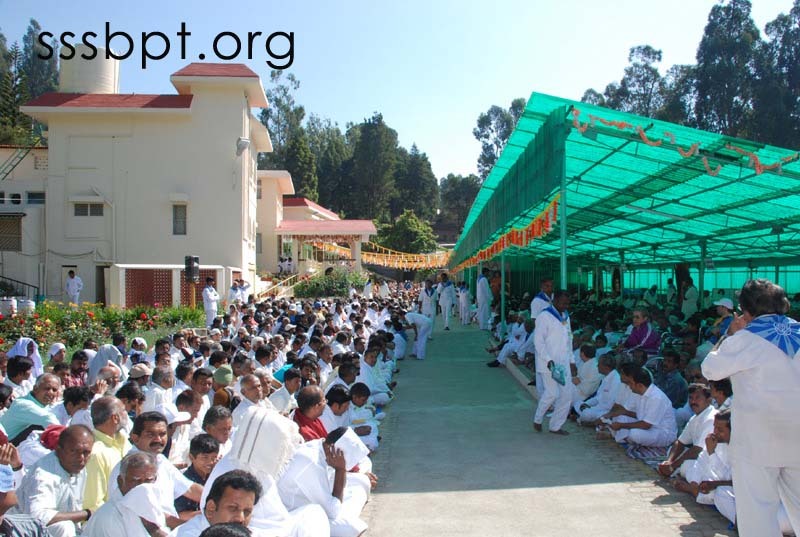 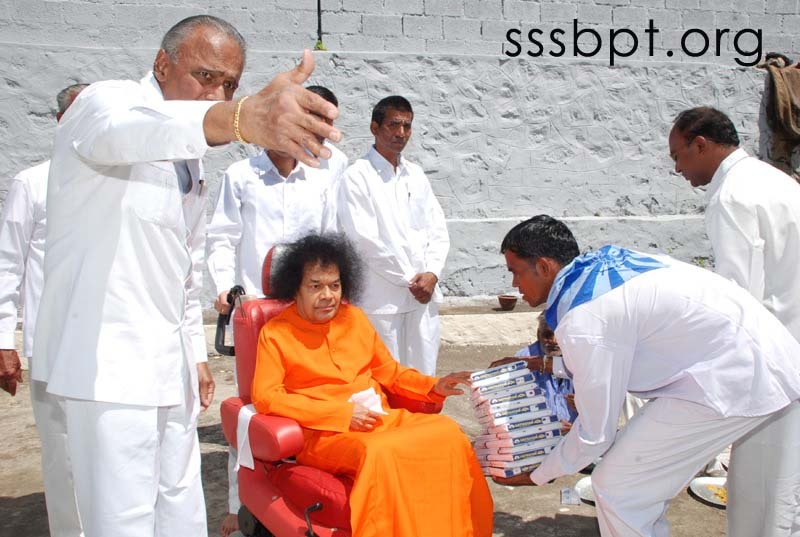 Bhajans began at 10.15 am and Bhagawan went into the bhajan hall and blessed the Prasad and gave instruction that it be distributed to the assembled devotees. 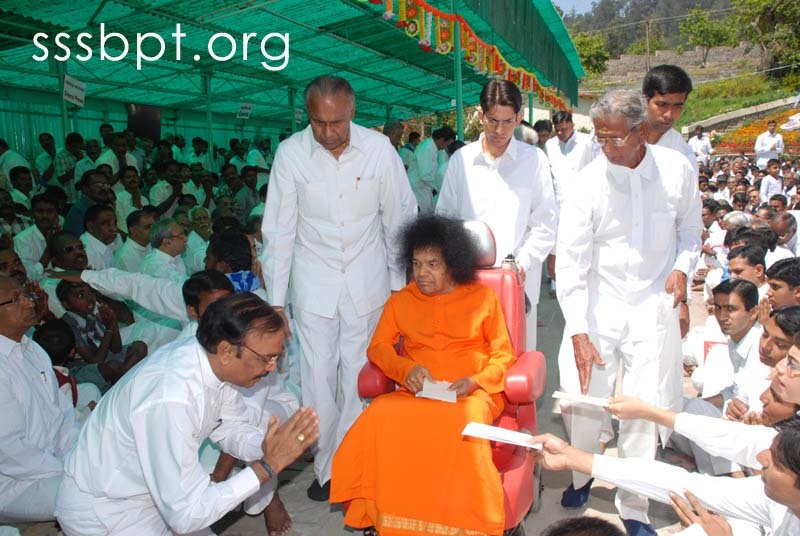 BHagawan further proceeded to the darshan grounds where Narayana Seva alongwith Vastradhaan was arranged. 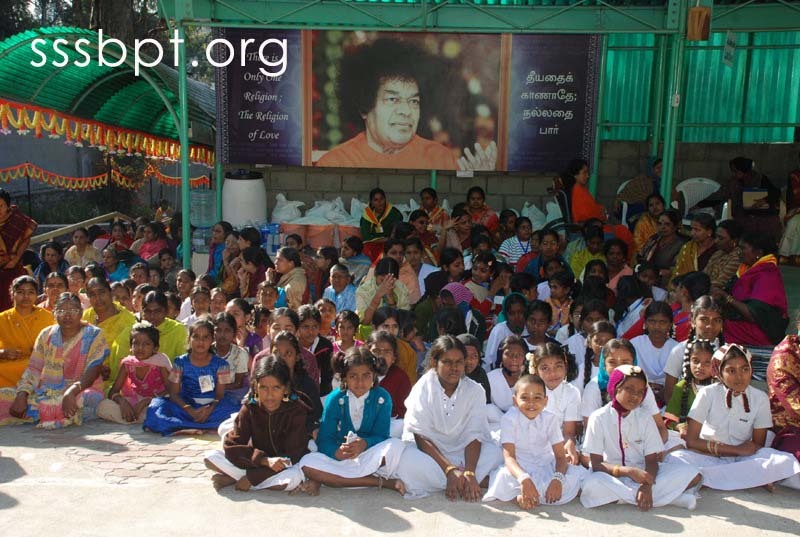 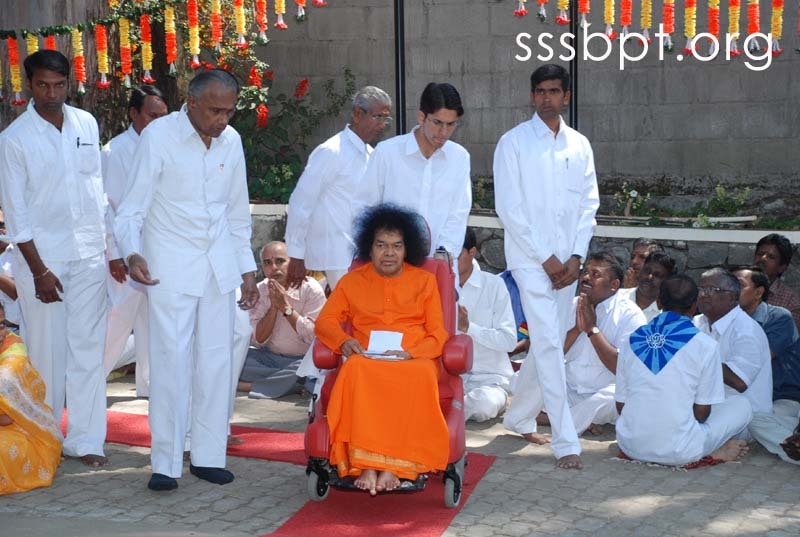 Watching the distribution spending sometime Bhagawan blessed the participants. 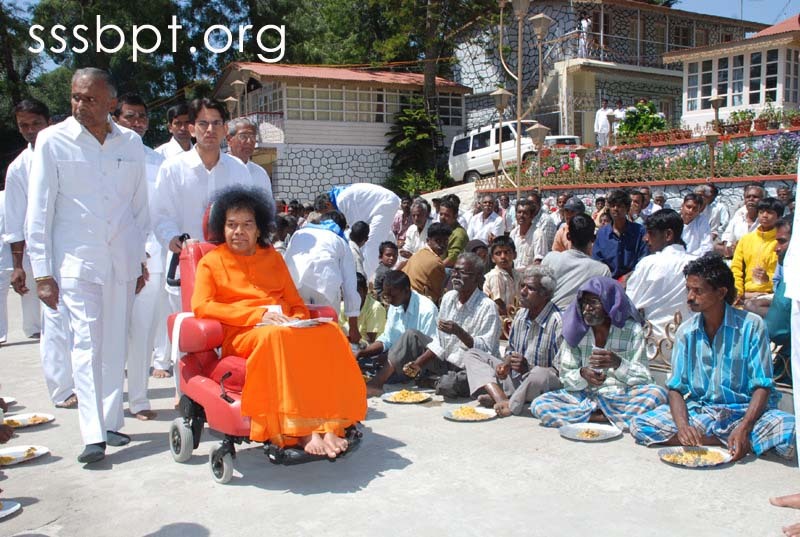 1000 Sarees, 500 dhoties, 500 towels, 250 blankets and 250 thick bed spreads were distributed to the deserving poor. 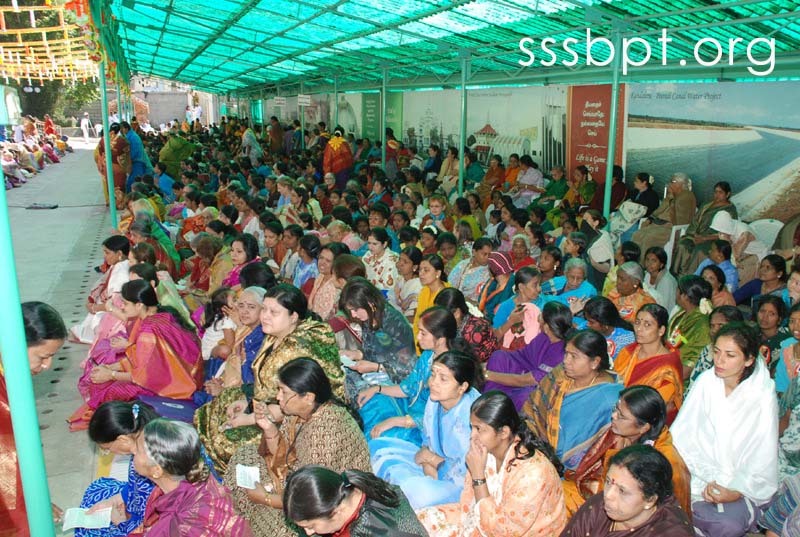 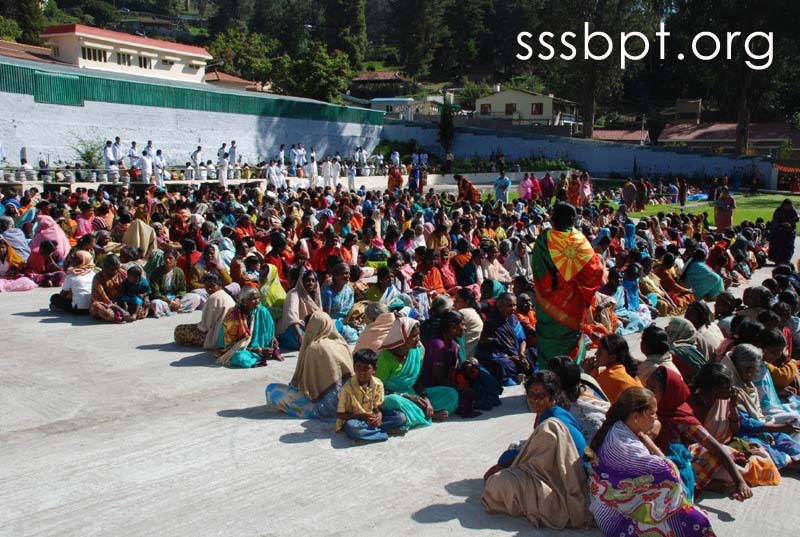 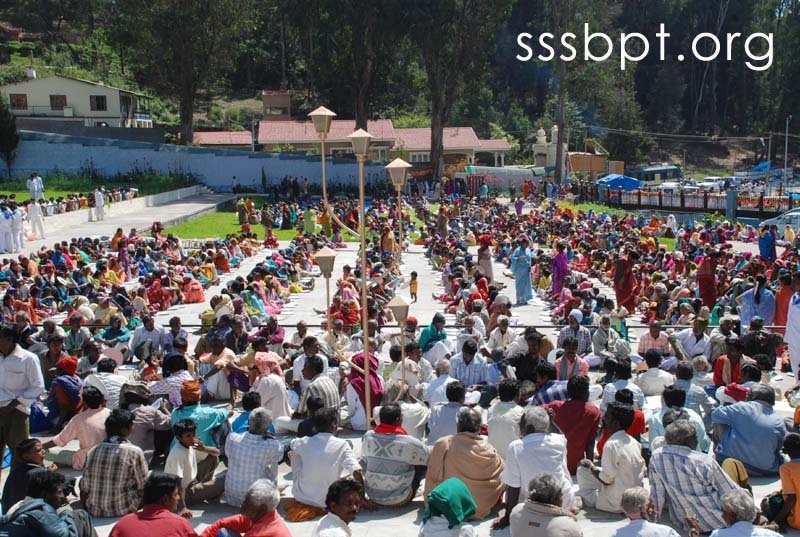 Altogether over 15000 were fed during the Narayana Seva. 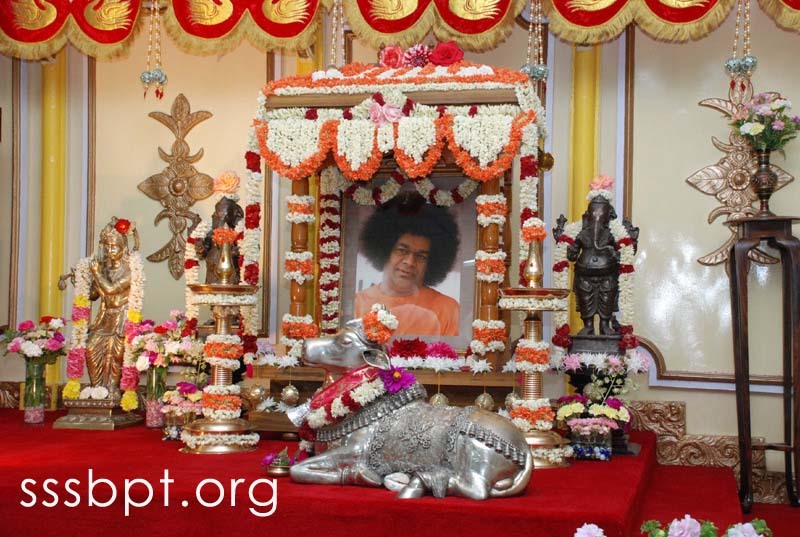 At around 11:15 a.m. Mangala Aarathi was offered before He retired to His Divine Abode.